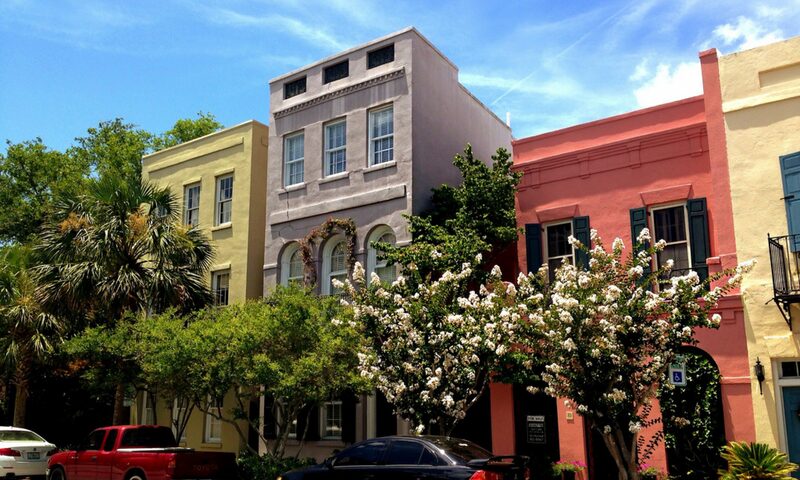 First Shots of the Civil War – Charleston Shines! 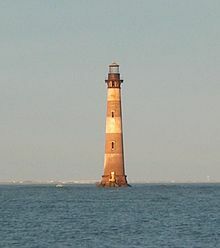 “Morris Island is an 840 acre (3.4 km²) uninhabited island in Charleston Harbor in South Carolina, accessible only by boat. The island lies in the outer reaches of the harbor and was thus a strategic location in the American Civil War. Fort Sumter – Charleston, S.C.
Fort Sumter is a federal fort in Charleston Harbor with a museum that tells the story of the fort’s role in the Civil War. The fort is constructed of over 70,000 tons and granite and rock. There are three sites within the Fort Sumter National Monument – Charleston: the original Fort Sumter, Fort Sumter Visitor Education Center and Fort Moultrie on Sullivan’s Island. To visit Fort Sumter by RV or bus, we recommend taking the 30 minute ferry from the visitor center or Patriots Point Naval and Maritime Museum. ‘Their parking area can easily accommodate large vehicles. Parking for large vehicles in downtown Charleston is extremely limited, and the public parking garage has a clearance of 7’. ‘You cannot get to Fort Sumter from Sullivan’s Island and Fort Moultrie. 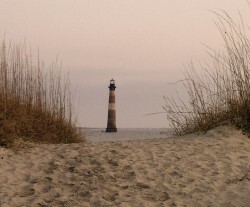 Sullivans Island is the mailing address of the park and the location of Fort Moultrie and Park Headquarters. Fort Sumter is located on an island in Charleston harbor and is only accessible by boat. If you do not have access to a private boat, a concession-operated ferry is available. 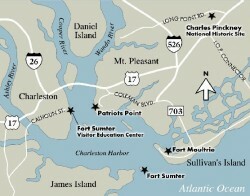 The primary departure site is from the Fort Sumter Visitor Education Center located in downtown Charleston. For departure schedules and fees, visit the concessioner page. The secondary departure site is located at Patriots Point in Mount Pleasant. Visitors with large vehicles such as buses and RVs should plan on using the Patriots Point departure site. 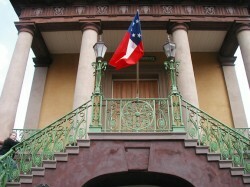 The Confederate Museum – Charleston, S.C. Hours of Operation: Tuesday – Saturday 11AM – 3:30PM, Closed on Sundays and Mondays/ Call to verify hours and days. Contains the Daughters of the Confederacy Museum. During the Civil War the hall was a recruiting station. The museum has a library, exhibits and artifacts of the confederacy. ‘The Edmondston-Alston House is one of the few historic homes open to the public. The house has a beautiful view of the harbor and of Fort Sumter. Built in 1825 the house was commandeered by the Union Army during the Civil War. After the war, the family appealed to President Andrew to get theri home back and he granted them a pardon for their role in the war. Adapted from article about Charleston by Judith Evans. 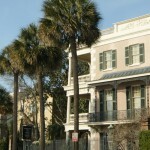 ‘The S.C. State Arsenal, more commonly known as the Old Citadel, is associated with several aspects of Charlestons history. The impetus for the Arsenals construction in the early 1830s was the 1822 slave revolt led by Denmark Vesey. In 1842 the S.C. Military Academy, a liberal arts military college, was established by the state legislature. The new Academy took over the arsenal the following year, and the school soon became know as The Citadel in reference to the fortress-like appearance of the building. Many Citadel alumni fought in the Civil War. Cadets remained at the school but were periodically ordered by the governor to support the Confederacy, and helped drill recruits, manufacture ammunition, protect arms depots, and guard Union prisoners. For more information on the architecure, etc. visit the National Park Service Website. 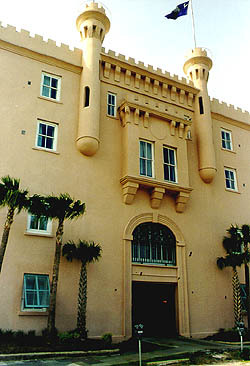 Today the Old Citadel is home to Embassy Suites Hotel.